The comedy series where Osamu Sakuta stars as the pseudo-hero Shippaiman hits the record high for its first episode. While Super Sentai and Kamen Rider airs on Sunday mornings on Super Hero Time, Shippaiman aired last night on 7:00 P.M. Shippaiman becomes the most watched television program during its first episode for the last four years. Ratings have been down since Go-Busters up to Ninninger. But Shippaiman broke the scale even at the first day outdoing Super Sentai, Power Rangers and Kamen Rider which are Toei's list of ongoing intellectual properties. Sakuta said, "I didn't expect Shippaiman to break the scale. Akibaranger sure had some followers but this one is unexpected. The comedy Tokusatsu series have stolen the ratings from Zyuohger and Kamen Rider Ghost. We never intended this comedy show to be for children but... how in the world did we get such ratings?!" Sakuta was surprised at the number of viewers that watched Shippaiman on TV-Asahi. Hiroshi Miyauchi was surprised that at his many years spending time with Tokusatsu, he has never seen a show that broke the records. He mentioned during an interview, "I have played several characters from Aoranger, Big One, Kamen Rider V3, Zubat, Captain Masaki and Commander Miura but this is the first time I played in a show where the ratings broke the roof. Who would have thought that a parody rescue group called Winsbraindraft would defeat Winspector, Solbrain, Exceedraft, GoGoFive and Lightspeed Rescue in the eyes of people? It's a comic relief show so we didn't expect much." The first episode of Shippaiman was taken straight from the comic book that portrayed Mar Roxas as a hero. The episode involved a huge storm hitting Japan and Akihabara gets hit. Shippaiman tries to become the hero of Akihabara to improve Prime Minister Nobita's dropping ratings. Instead, we have the Winsbraindraft team who succeeded in rescuing flood victims. During this episode, one can see Tyuyoshi Hasashi, Tori Matsuzaka and Rin Takanashi show off more than what their shows allowed them to do. At the end of the episode, Shippaiman can be seen booed by the people of Akihabara after he badmouths the mayor who was played by John Kaminari who guest played as Mr. Brown in Shinkenger. 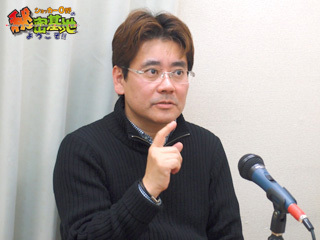 Next week's episode will involve a hostage crisis where Kenichi Endo plays as the hostage taker Rorando Medora. Stay tuned for more Shippaiman episodes!